Harvard University Press, 9780674979680, 256pp. Senior citizens from all walks of life face a gauntlet of physical, psychological, and social hurdles. But do the disadvantages some people accumulate over the course of their lives make their final years especially difficult? Or does the quality of life among poor and affluent seniors converge at some point? 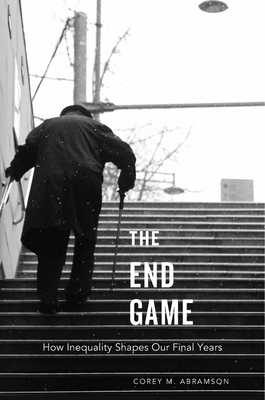 The End Game investigates whether persistent socioeconomic, racial, and gender divisions in America create inequalities that structure the lives of the elderly. "Avoiding reductionist frameworks and showing the hugely varying lifestyles of Californian seniors, The End Game poses a profound question: how can provision of services for the elderly cater for individual circumstances and not merely treat the aged as one grey block? Abramson eloquently and comprehensively expounds this complex question." "The author's approach situates inequality experienced by older Americans in a real world context and links culture, social life, biological life, and structural disparities in ways that allow readers to understand the intersectionality of diversity imbued in the lives of older Americans...Abramson opens a window into the reality of old age, the importance of culture and the impact it has on shared/prior experiences, and the inequalities that structure them."